Damp problems, condensation and mould are common problems within many household. 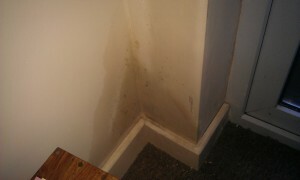 Condensation plays a major part in mould growth within the home. Pinnacle Property Services have a few tips for Landlords and Tenants that will help resolve a lot of the issues experienced with Condensation issues and Damp issues. Most tenants experience damp problems in many properties up and down the country and sometimes the damp issues are caused by their lifestyle and sometimes by the building where they live if it’s a particularly old property. Many different types of properties have different types of damp problems and they all have different solutions whereas damp is concerned. Usually Tenants will blame the Landlord/s and the Landlord/s will blame the lifestyle of the tenant/s. The best way to resolve many of these damp problems is to make sure that the tenant makes all the best efforts to resolving the lifestyle issues that may have caused the damp problems. Usually, leaving clothes to dry indoors, cooking and wet washing are some of the main factors in triggering condensation. Water droplets form from the moisture within the air, warm air rises and more often than not causes mould to form on ceilings and exterior walls. Left without the correct treatment, mould grows on ceilings, walls, furniture and can also affect plastered walls and woodwork causing them to rot. Damp problems and rising damp can be caused from external sources. Cracks in walls and missing roof tiles allow water into the buildings structure causing damp, water entering through lower walls and floors causing rising damp. Installing insulation has a warming effect, in turn preventing condensation from developing. Keep trickle vents in windows open where available. When repainting, use a fungicidal paint. Close doors to bathrooms and kitchens when not is use to prevent steam entering cold rooms. It is important to ensure that vents within the home remain open and clear at all times as this is one of the ways to prevent damp problems in your home. Also ensure that rooms that are susceptible to damp and condensation are free from draught proofing. Damp problems and mould within the home can be hazardous to your health, so you should ensure that any visible mould is removed using a mould removal spray or other suitable counter measures. Mould spores grow within moist environments, if you do not follow the above steps in mould removal and prevention you are likely to experience health issues including respiratory problems, eye irritation and asthma. In 2001 mould was classed as a category 1 health hazard under the Health & Safety Hazards Ratings making it potentially as dangerous as Asbestos. Those susceptible to respiratory problems, those with a weakened immune system, children, babies and the elderly are more likely to be sensitive to mould within the home. It is important to take the necessary precautions and to maintain a well-ventilated home to reduce the risks to your health and the health of your family members. Following simple steps within your household are good ways to start preventing damp problems.